This week I am in Las Vegas at the Create -n- Connect Show. This project is one of my Make ‘n Take projects featuring the fabulous MONO Aqua Liquid Glue from Tombow! I envision these as place card holders, scattered on a table or as a scrapbook or card embellishment. You could easily change up the leaf to be a holly leaf, a flower or color them green for springtime leaves. 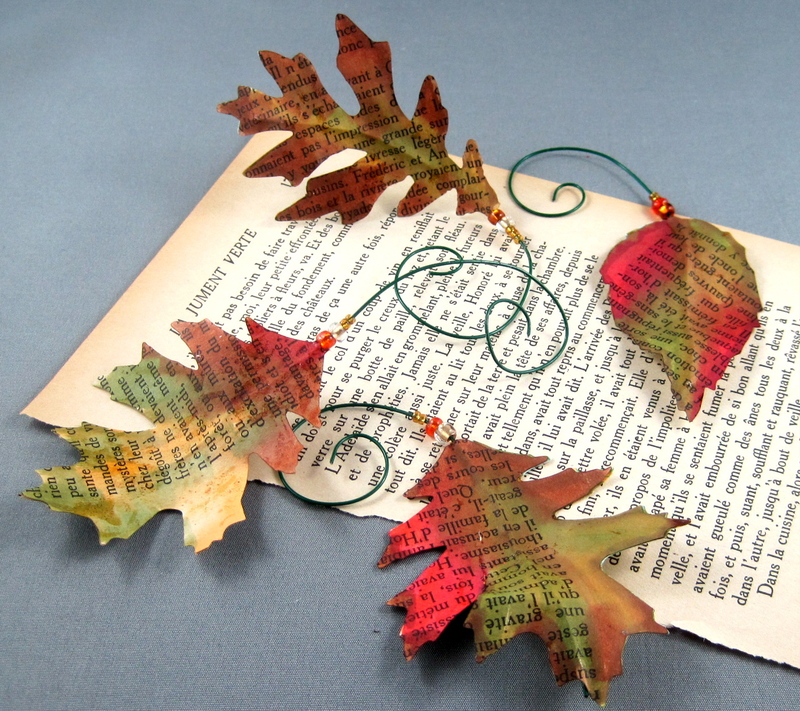 Start with some die cut leaves – here I used the Tim Holtz Leaf Die from Sizzix . 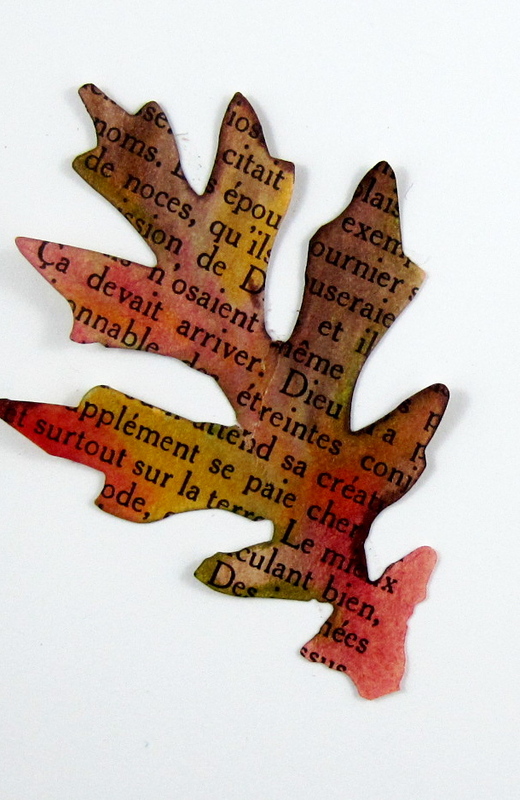 For each leaf, you will need one cut from a book page and one from a piece of cardstock. 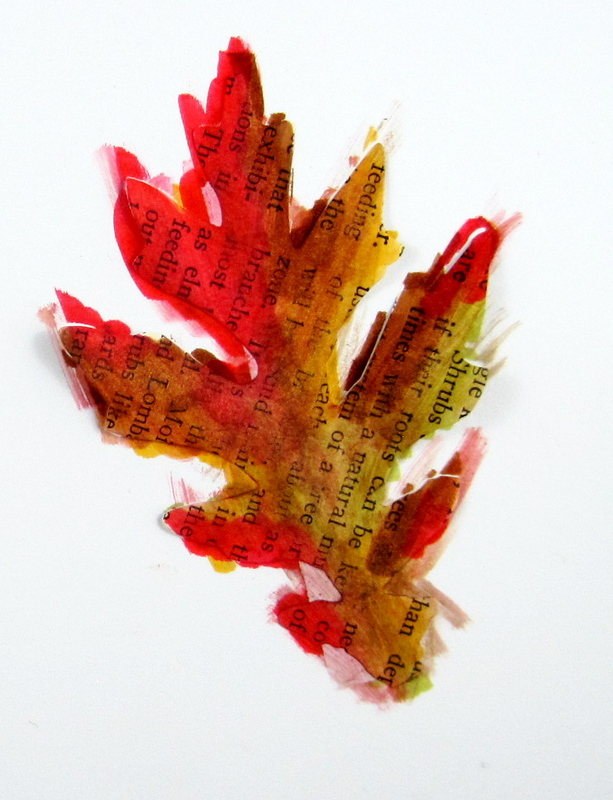 Using Tombow’s Removable Adhesive applied onto a scrap piece of paper, place down the book page leaf. Color the leaf using the Dual Brush Pens, blending in the hues with the colorless blender. Having the leaf secured makes for easy coloring without the paper ripping or missing the edges. 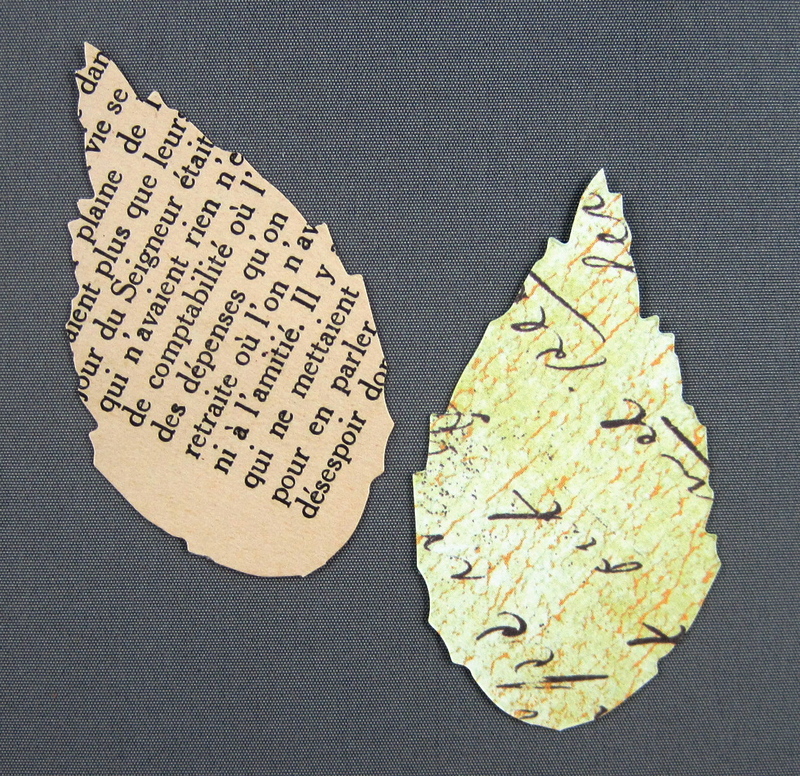 Carefully remove the leaf from the backing paper after it has dried. 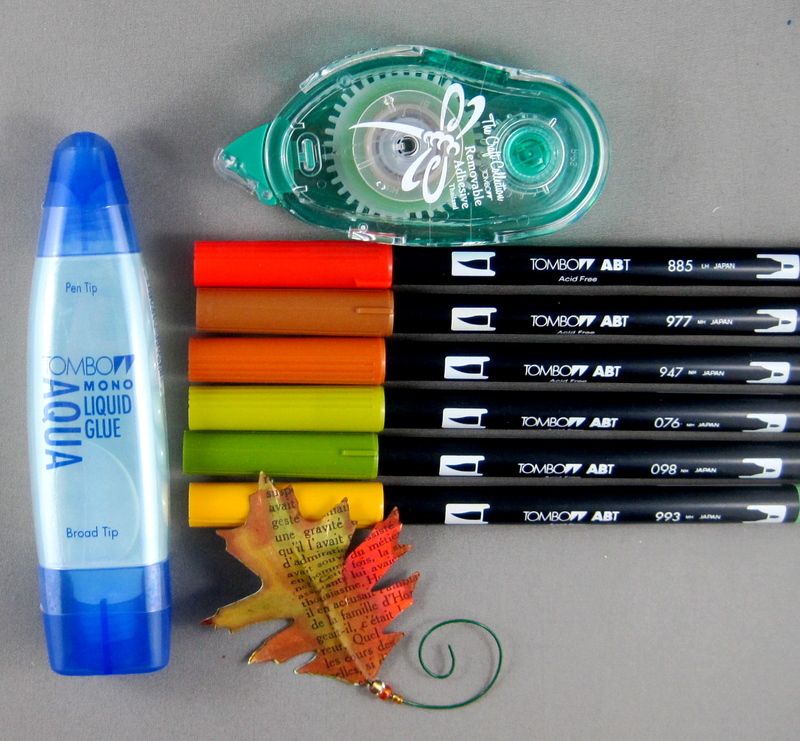 Apply the Aqua glue onto the cardstock leaf and sandwich a piece of wire in-between as you glue the leaves together. Aqua Glue is the perfect adhesive for laminating papers together! Let dry and add beads to the wire securing with a few drops of Aqua Glue. Bend the wire end into a curl and sculpt the leaf for interesting dimension. Love this, what gauge of wire did you use ?